Stevia is certainly one of the best choices to use as a sweetening agent. It is yet important to point out that this has nothing to do with the fact that it is "natural" - as "natural" as the white stevioside powder ism anyway. You may remember from the Facebook News that Ripken et al. reported in a recent paper in the Journal of Agricultural and Food Chemistry (2014) that Stevia will stimulate the release of the satiety (and pro-metabolic) hormones GLP-1 and PYY in the stomach of our (digestion- & nutrition-wise) next relatives, the pigs. Will Artificial Sweeteners Spike Insulin? Sweeteners & the Gut Microbiome Each is Diff. Sweeter Than Your Tongue Allows! 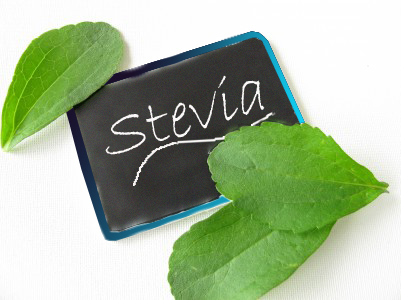 Stevia, Much More Than Sweet? Artif. Sweetened Foods Help Weight Loss! Anti-inflammatory effects -- Some scientists believe that Stevia’s utility in diabetes protection is due to its antioxidant properties; a hypothesis that is supported by analysis of the phenols that may be extracted from the plant. Stevia has a large overall proportion of phenols, up to 91 mg/g; it is proposed that these constituents extracted from the leaves are the major agents contributing towards the anti- hyperglycemic activities exerted by the plant (Shivanna. 2013). This is further supported by the fact that the leaves have a greater ability to scavenge free radicals and prevent lipid peroxidation than controls such as butylated hydroxytoluene, butylated hydroxyanisole, and tertiary butyl hydroxyquinone. Figure 1: Effect of Stevia on lipid peroxidation in liver in STZ treated rats (n = 8; Shivanna. 2013). The mere presence of anti-oxidants does not ensure anti-diabetic effects, though. Against that background it's important that corresponding experimental evidence from streptozotocin-induced diabetic rats, in which phenolic compounds prevented several diabetic complications is already available. In addition, Shivanna et al. (2013) observed a significant decrease (about 30%) in peroxidation in the livers of Stevia-pre-fed rats, compared to those of their control groups. In view of the previously discussed involvement of the liver in the etiology of the metabolic syndrome, this is a good indicator of reduction in the progression of diabetic complications. The same goes for the levels of the pro-inflammatory cytokine NF-kappaB and TNF-alpha of which researchers from the Shanghai Institute of Endocrine and Metabolic Diseases report that it was significantly downregulated in a study on a C57BL6J mouse model of insulin-resistance, when the rodents received stevioside supplemented chow (Wang. 2012). Direct beneficial effects on blood glucose levels -- Whether the beneficial effects of stevia on blood glucose management are mediated solely via its anti-inflammatory effects is not yet certain. The initially mentioned effects on GLP-1, for example, could (and probably will) also contribute to the significant decrease in blood-glucose levels Susuki et al. observed in a study from 1977 that was published in the Japanese science journal Nippon Nogei Kagaku Kaishi (Susuki. 1977). The Japanese researchers fed rats a stevia enriched high carbohydrate + high fat diet and observed "a significant reduction in glycemia" after four weeks on the otherwise highly prodiabetic rodent equivalent of the Western diet. That these benefits are not rodent specific and don't arise in response to an interaction with certain components in the rodent chow was demonstrated 27 years later by Gregersen, et al. (2004). In their paper in the January issue of Metabolism, the scientists report that they observed a similar, highly significant reduction (an average of 18%) in postprandial glucose levels in Type II diabetic patients given test meals supplemented with stevioside.. In addition, patient satiety as an aftereffect of the different sweeteners was also tested; it was found that subjects given lower-calorie sweeteners (Stevia or aspartame) did not compensate by eating more than those given sucrose. Any potential increase in insulin did thus have the proven, but largely ignored satiety effect insulin is supposed to have (Vanderweele. 1994). Possible interactions with the gut & its microbiome -- The research on the interactions of stevia with the microbes in our gut is still in its infancy. Nevertheless, the repeatedly mentioned effects on GLP-1, as well as evidence from animal studies which show a decrease in glucose uptake, when carbohydrates are fed in the presence of stevia (Brown. 2012) clearly indicate that there is more to the anti-diabetic & -obesity effects of stevia (and maybe other non-nutritive sweeteners) than direct antioxidant effects (Payne,. 2012). "Natural and good", not "good since natural": As the previous elaborations have shown stevia really appears to be one of the best sugar replacements to chose. This is yet not due to the "naturalness" of stevia, but due to the specific molecular structure of the the glycosides the food industry extracts from the leaves of a plant. Accordingly, the white substance we wrongfully call "stevia", when it's eventually only an extract of the sweet(est) tasting steviosides wouldn't be less effective or unhealtier if it was synthesized in the laboratories of Monsanto or extracted from the poop of genetically modified bacteria. And you know what? I guess, when the market keeps growing the way it does, this is soon going to be the white-washed sterile environment of a laboratory is probably soon going to be where 90% of the stevia is going to come from. Anton, Stephen D., et al. "Effects of stevia, aspartame, and sucrose on food intake, satiety, and postprandial glucose and insulin levels." Appetite 55.1 (2010): 37-43. Aze, Y., et al. "Subchronic oral toxicity study of stevioside in F344 rats." Eisei Shikenjo hokoku. Bulletin of National Institute of Hygienic Sciences 109 (1990): 48-54. Brown, Rebecca J., and Kristina I. Rother. "Non-nutritive sweeteners and their role in the gastrointestinal tract." 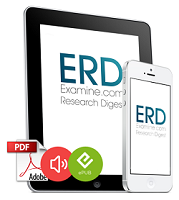 The Journal of Clinical Endocrinology & Metabolism 97.8 (2012): 2597-2605. Brusick, D. J. "A critical review of the genetic toxicity of steviol and steviol glycosides." Food and Chemical Toxicology 46.7 (2008): S83-S91. Gregersen, Søren, et al. "Antihyperglycemic effects of stevioside in type 2 diabetic subjects." Metabolism 53.1 (2004): 73-76. Kjems, Lise L., et al. "The Influence of GLP-1 on Glucose-Stimulated Insulin Secretion Effects on β-Cell Sensitivity in Type 2 and Nondiabetic Subjects." Diabetes 52.2 (2003): 380-386. Oliveira-Filho, Ricardo M., et al. "Chronic administration of aqueous extract of< i> Stevia rebaudiana</i>(Bert.) Bertoni in rats: Endocrine effects." General Pharmacology: The Vascular System 20.2 (1989): 187-191. Payne, A. N., C. Chassard, and C. Lacroix. "Gut microbial adaptation to dietary consumption of fructose, artificial sweeteners and sugar alcohols: implications for host–microbe interactions contributing to obesity." obesity reviews 13.9 (2012): 799-809. Ripken, Dina, et al. "Stevia Glycoside Rebaudioside A Induces GLP-1 and PYY Release in a Porcine Ex Vivo Intestinal Model." Journal of agricultural and food chemistry (2014). Shivanna, Naveen, et al. "Antioxidant, anti-diabetic and renal protective properties of Stevia rebaudiana." Journal of Diabetes and its Complications 27.2 (2013): 103-113. Suzuki, H., et al. "Influence of oral administration of stevioside on levels of blood glucose and liver glycogen of intact rats." Journal of the Agricultural Chemical Society of Japan (1977). Takahashi, K., et al. "Extracts from Stevia rebaudiana is a potent anti-rotavirus inhibitor in vitro and in vivo." Antiviral Research. Vol. 46. No. 1. PO BOX 211, 1000 AE AMSTERDAM, NETHERLANDS: ELSEVIER SCIENCE BV, 2000. Takahashi, Kazuo, et al. "Analysis of anti-rotavirus activity of extract from< i> Stevia rebaudiana</i>." Antiviral research 49.1 (2001): 15-24. Vanderweele, Dennis A. "Insulin is a prandial satiety hormone." Physiology & behavior 56.3 (1994): 619-622. Wang, Zhiquan, et al. "Stevioside ameliorates high-fat diet-induced insulin resistance and adipose tissue inflammation by downregulating the NF-kappaB pathway." Biochemical and biophysical research communications 417.4 (2012): 1280-1285. Yodyingyuad, Vithaya, and Supranee Bunyawong. "Effect of stevioside on growth and reproduction." Human Reproduction 6.1 (1991): 158-165.